Facebook and Twitter, as you know these social networks are full with lots of user. That means you can get lots of traffic to your blog from these sites. To do that you have to update your status with your blog posts, but it is really boring to update status manually and also it will destroy your valuable time. So it is necessary to update facebook and twitter status with your blog post automatically. In this tutorial I will be sharing with my lovely readers how to publish your blog posts automatically to facebook profile or facebook page and twitter as your status update. What is dlvr.it and how does it work? 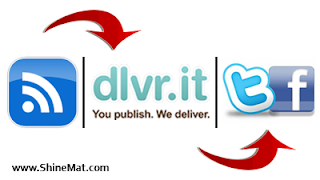 dlvr.it is a web application which collects your blog updates via your RSS or Atom feed and publishes immediately to your selected facebook page and twitter account. 1. Go to dlvr.it and register for an account and don’t forget to confirm your account from your mail inbox. 2. Log in to your dlvr.it account. 3. After log in click +Add Route. 4. A new window will appear. See its options carefully. 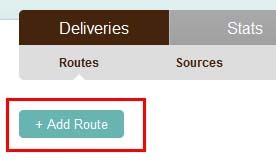 # In Click here to name your route box give your Route name. # From Sources box click +add and in Feed URL box type your RSS or Atom feed URL and select When should we make your first post? as your choice. 6. Now from Destinations box click +add. 7. From new window select Twitter and Facebook and authorize them. NOTE: Check your Route status. Is it active or paused? If you will do as I describe above, your blog post will publish automatically to your Facebook and Twitter account. After setup this I recommended you to post a new article and check your Facebook and Twitter status. If these are updated by your newest post, then everything is OK. I have tried my label best to make this tutorial easy. If something is unclear please don’t wait to ask me. An alternative of dlvr.it is "twitterfeed.com". This site is also reliable and helpful.